ONE OF THE NATION’S LEADING ATTORNEYS. 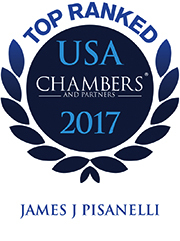 Mr. Pisanelli is the co-founder of Pisanelli Bice, PLLC, a firm focused primarily on commercial litigation. Prior to forming Pisanelli Bice in 2010, Mr. Pisanelli was the co-chair of his prior firm’s litigation group, where he oversaw 80 litigators across the United States, all the while managing his own thriving practice. Mr. Pisanelli is at home in the courtroom. He has tried and prosecuted numerous cases to judgment in both federal and state court, and frequently appears before the Eighth Judicial District Court’s specialty business court judges. He is a go-to litigator for high-profile and intense disputes, and is always able and prepared to skillfully advocate for his clients’ interests when needed, be it an emergency injunction or lengthy jury trial. While skilled in a broad range of legal matters, he has particular experience in large and complex commercial litigation, defamation, construction, and health care disputes. Having grown up in Las Vegas, he takes pride in the fact that he has represented and continues to represent many of Nevada’s largest gaming companies. Both in and outside of gaming, Mr. Pisanelli provides services to clients ranging from Fortune 500 companies to single entity developers and entrepreneurs. Mr. Pisanelli’s construction practice and experience goes beyond the courtroom setting. In addition to providing the litigation counsel for which he is known, he also provides transactional counsel and advice to his construction clients, which include major hotel properties, institutional home builders, commercial developers, design professionals, and subcontractors. Mr. Pisanelli’s representation starts with negotiating and preparing construction contracts and development agreements and, if need be, continues through litigation and dispute resolution. Mr. Pisanelli also serves as a faculty member for the National Institute for Trial Advocacy, and serves on the Advisory Board for a national banking system.